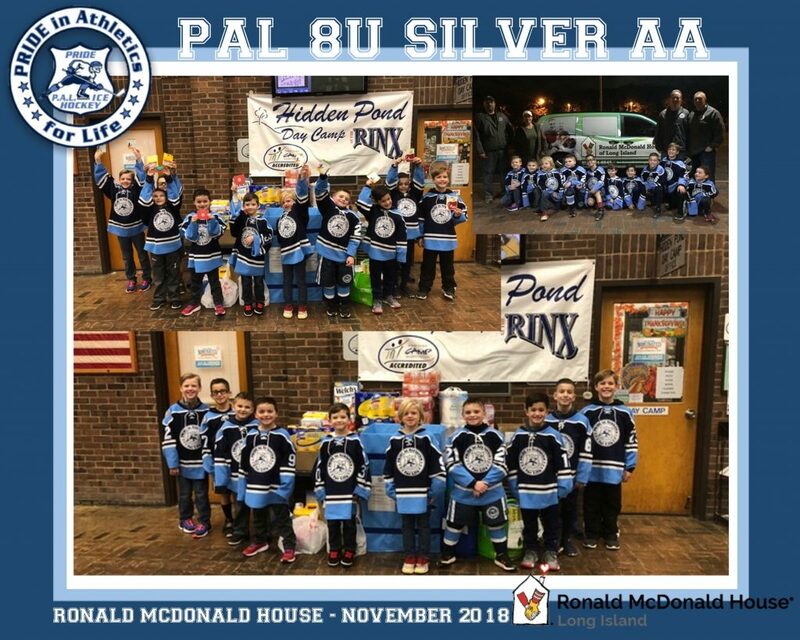 Our PAL PRIDE 8U AA Silver Mites gathered supplies for the Ronald McDonald Family Room at Stony Brook Hospital in the month of November! 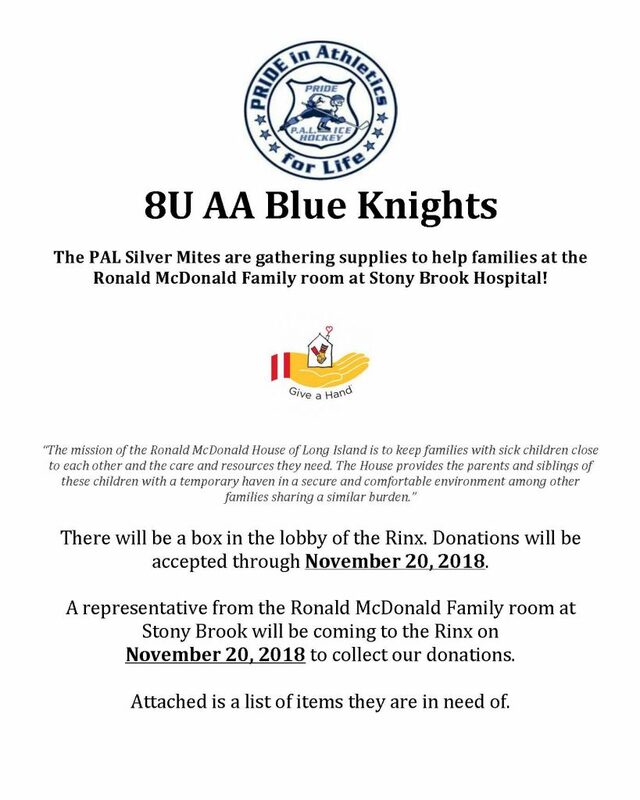 On November 20th a representative from the Ronald McDonald House picked up all the supplies they received at the Rinx in Hauppauge, NY. There will be a box in the lobby of the Rinx in Hauppauge, NY. Donations will be accepted through November 20, 2018. November 20, 2018 to collect our donations. 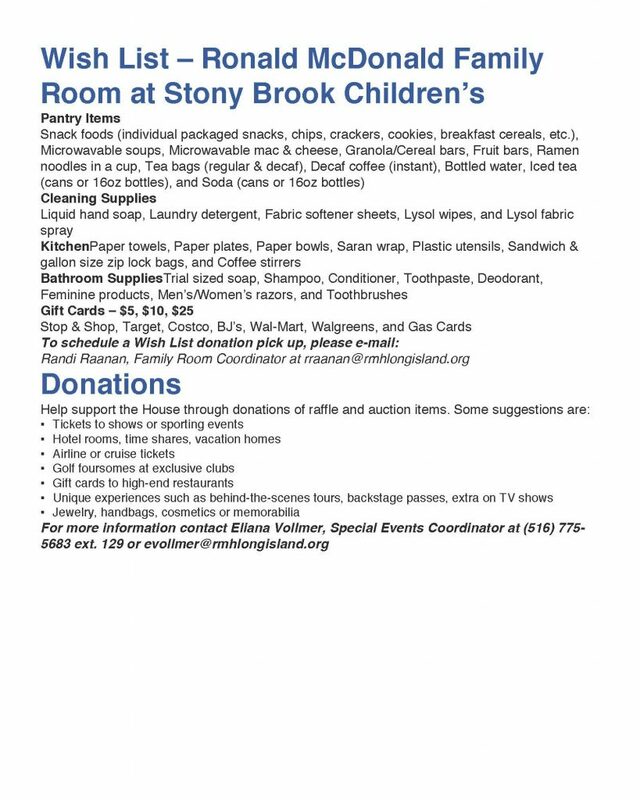 Below is a list of items they are in need of.